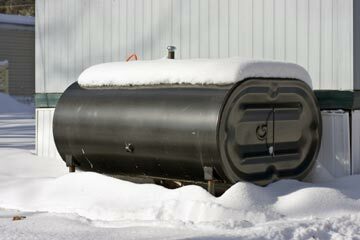 Oil heat remains the # 1 choice for heating homes in New Brunswick due to a number of beneficial attributes. Economical – Oil heat has proven over the last ten years to be one of the most economical choices to heat your home. Although oil prices fluctuate with demand, over the long-term oil heat remains extremely cost-effective. Safety – Oil heat is safe. It’s non-explosive and although rarely necessary, controls such as dye/color, smoke and odor are apparent so that an oil or carbon monoxide leak can be detected early. Efficiency – Modern fuel oil burners that are properly installed and maintained, are one of the cleanest combustion sources of heating. Present-day equipment is more compact, less noisy and more efficient. Kingstons is committed to conserving energy and the environment. Kingstons offers customers access to its full range of products and services for their oil heating needs.